This was a gorgeous tale from start to end. 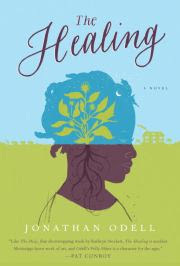 The Healing by Jonathan Odell is told from the point of view of Granda, a young house slave living in Mississippi. It's a coming of age tale, a rite of passage story that gripped me immediately. This is a book that I highly recommend. Simply beautiful.